Karnataka SSLC Result 2019 - KSEEB will release SSLC result 2019 Karnataka by the first week of May 2019 in the online mode. The Karnataka SSLC Result 2019 will be released on the official websites - kseeb.kar.nic.in and karresults.nic.in and students can check the same using their registration number. Students can also check their result using SMS facility provided by the board. All one has to do is to send an SMS in a given format on the number provided below. It should be noted that the Karnataka SSLC Result 2019 declared in the online mode is provisional. Original mark sheets will be issued to students soon after the declaration result online. Karnataka SSLC 2019 have been held from March 21 to April 4, 2019. Last year, the Karnataka SSLC Result was released on May 7, where 71.93% of 8,38,088 cleared the exam. 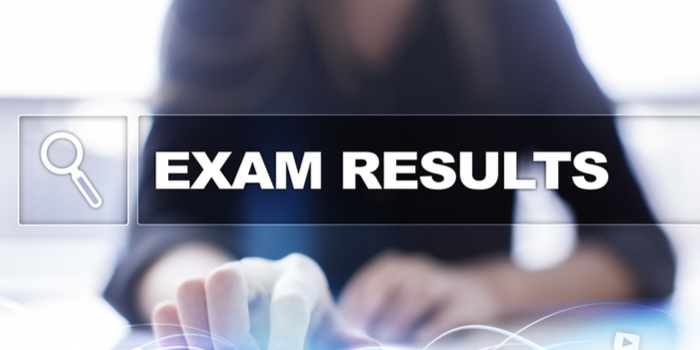 Read the entire article for complete details on Karnataka SSLC 2019 Result including the step-wise process to check it, information displayed, previous years’ statistics and so on. Students can go through the overview below to know more about the Board. To know the complete exam schedule, students can check Karnataka SSLC time table 2019. Click on Submit. The result will be displayed on the screen. Download and take a printout of Karnataka Board 10th Class Result. Retain the printed copy for future reference. Students can also check Karnataka 10th Board result via SMS. To do so, they can type KAR10<space>Roll Code<space>Roll number and send it to 56263. Following this, the Board will send detailed Karnataka SSLC Result 2019 to students on their mobile number. The Karnataka Board releases the forms for rechecking /revaluation of Kar SSLC result after the announcement of the same online. Students who are not satisfied with their marks can obtain the form online or offline from school. The form needs to be submitted along with the fees before the last date. KSEEB conducts supplementary exams for those who are unable to clear their examinations conducted in March/April. Students can apply for the same to avoid wasting a precious year. The application form for the same release in May, 2019. What after Karnataka SSLC Result 2019? After the declaration of the Karnataka board 10th result, students must collect the original document from the school authorities. They must also select a stream out of Science, Arts or Commerce to be pursued further and opt accordingly. Your Karnataka SSLC Board brochure has been successfully mailed to your registered email id .